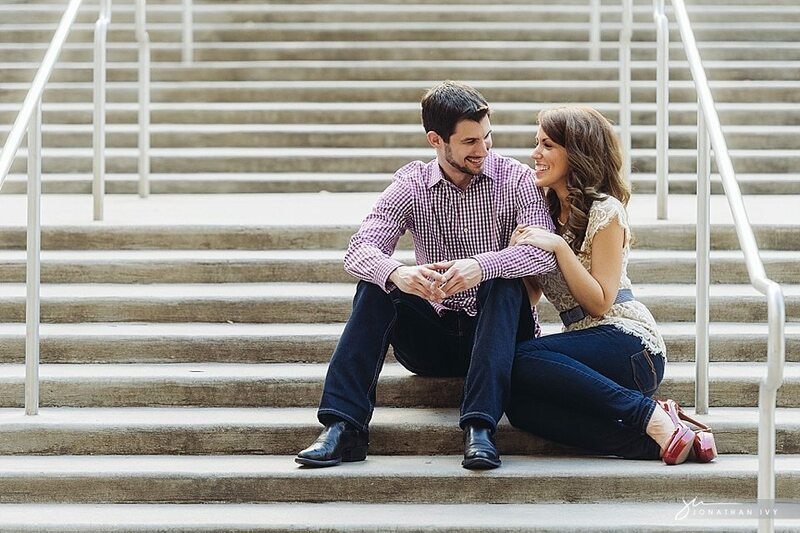 We are so excited to share with you all this gorgeous and chic Houston Engagement session in the Houston Medical District! Danielle & Trea are both med students at The University of Texas Medical School at Houston. They wanted to have their engagements taken where they have spent the last few years of their life. This is a big part of their lives and we are so happy to have captured just a piece of it. Gorgeous sunset dance in front of the Houston skyline.